GIMP (GNU Image Manipulation Program) is a free and open-source raster graphics editor used for image retouching and editing, free-form drawing, resizing, cropping, photo-montages, converting between different image formats, and more specialized tasks. 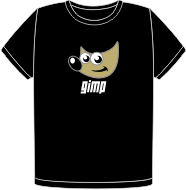 GIMP is released under GPLv3+ licenses and is available for Linux, OS X, and Windows. 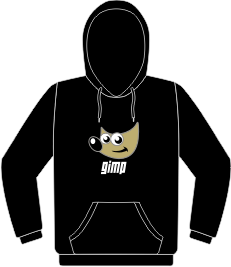 Wilber is the official GIMP mascot. Wilber was created at some time before 25 September 1997 by Tuomas Kuosmanen (Tigert) and has since received additional accessories and a construction kit to ease the process.